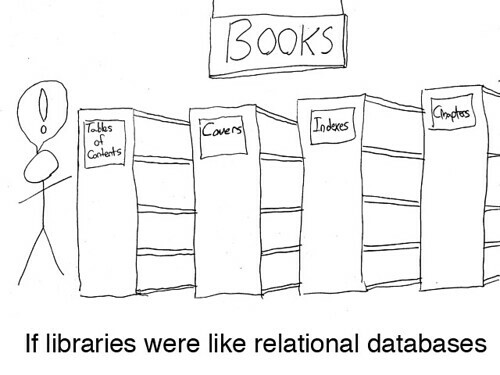 I was inspired by XKCD to draw this cartoon for a recent presentation on the Semantic Web. We have this habit of dismembering data when we use relational modeling. Consequently, we spend a lot of our development time figuring out how to reassemble entities to use them in our applications, particularly with large, heavily-normalized databases. It’s occasionally good to remind ourselves that relational modeling is an optimized form of data storage. But it’s not the only one, and it isn’t always the right one for a given problem.